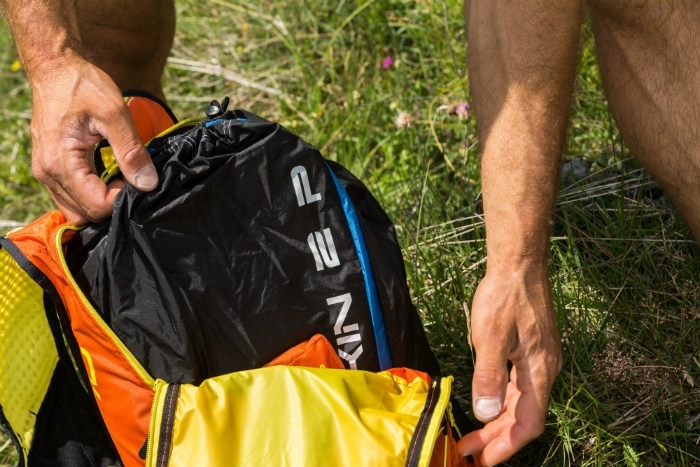 Light, compact and easy to carry, the new Niviuk Kargo P running bag comes to surprise and delight all lightweight equipment lovers. A perfect tool for your adventures. It doesn't matter where you are going or where you are. Carry your Skin 2 P and the Roamer P harness in one ultra-compact and light bag, designed to fit all your minimalist flying gear so you are ready to take off any time. Suitable for climbing, mountaineering, running, cycling and, of course, flying. The combinations are endless, but the Kargo P can accompany you on all of them. A versatile and indispensable companion. The shoulder pads are conceived for maximum adaptation to the body. "AirMesh" foam is used in all areas where there is contact with the body (shoulders and lower back). Adjustable chest straps for optimum grip on the move. Combination of micro-perforated fabrics for greater air circulation in the zones of most perspiration. Large outer compartment with adjustable bungee cord. What does the Kargo P combine with? 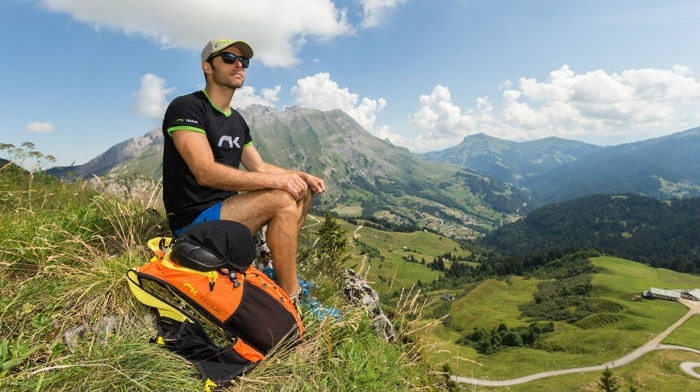 The Kargo P has a maximum capacity of 25L and has been specifically designed and dimensioned to carry an ultralight Skin 2 P wing with a Roamer P harness. PLEASE NOTE: The Kargo P is not big enough to fit anything other than an ultralight single-skin wing and harness like the Skin 2 P and Roamer P.